Let customers or colleagues know that you got the email in seconds without even hitting Reply or Send. 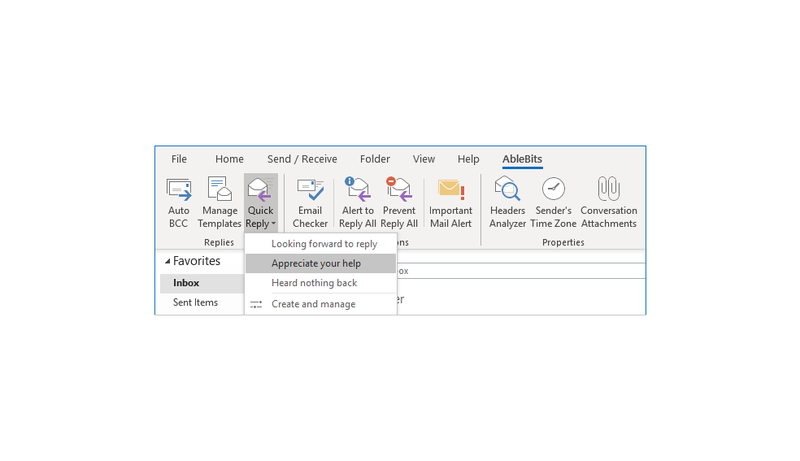 With the Quick Reply add-in for Outlook, all you need is to select the right email and choose the appropriate reply from the predefined list. The text will be inserted into the message and sent automatically. Create your text snippets Create a collection of quick replies to insert into an email. Answer emails quickly Send a reply without opening emails and hitting Send. Manage your replies Rename, edit, or delete your text snippets. 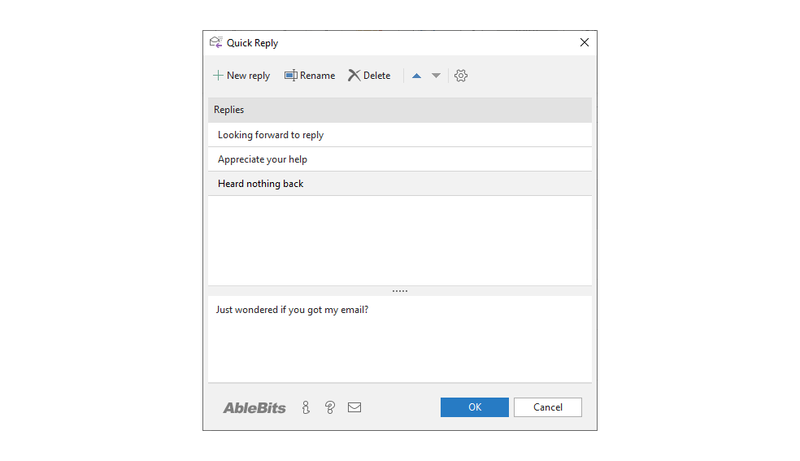 Control quick replies Choose to see your reply before sending an email. What is Quick Reply and what do I need it for? Have you ever noticed that you respond to emails with the same text over and over? When you are pressed for time, it may be really difficult to reply with a personalized message, so you just send something like "Thank you", "I will be sure to get back to you", or "I have forwarded your request to N". Though it seems that short answers don't take really much time, this time counts especially during busy hours. The Quick Reply add-in for Outlook lets you select the right email and choose the appropriate reply from the predefined list. The text will be inserted into the message and sent automatically. How to use the utility? Quick Reply is a very simple-to-use tool, you can create your own text snippets or use the predefined ones in a couple of clicks.